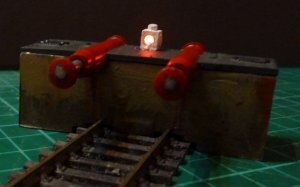 A guide to the adding LED lamps to your buffers! 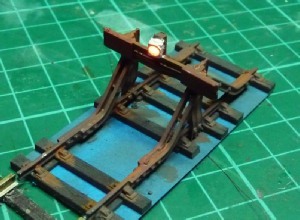 Buffer lights are a simple addition to add some interest to your layout. Modern LED lighting makes it cheap and easy to accomplish. 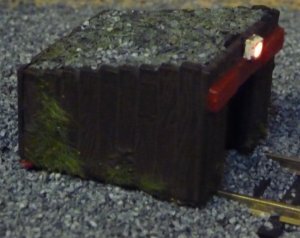 There are a few suppliers that make very detailed examples like DCC Concepts, but if like me you have 40 buffers, that would work out expensive! 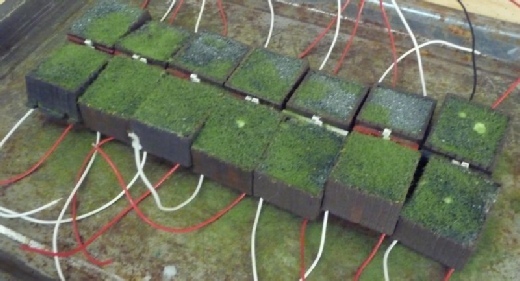 Making your own is much cheaper, and almost no extra work! 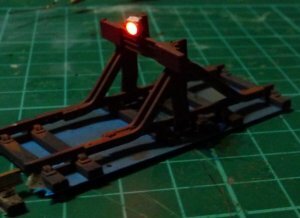 Paint the buffer first and buffer beam. Solder small lengths of wire to each side of the LED. Paint your chosen colour (white). 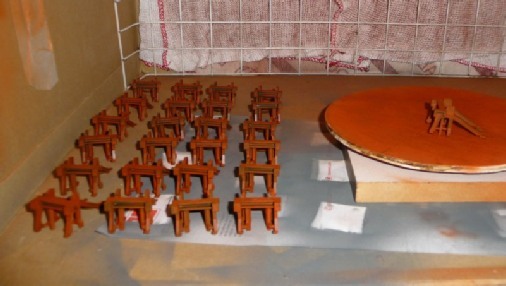 Attach to buffer (first drill holes in sleeper version) with UHU/Bostik glue. 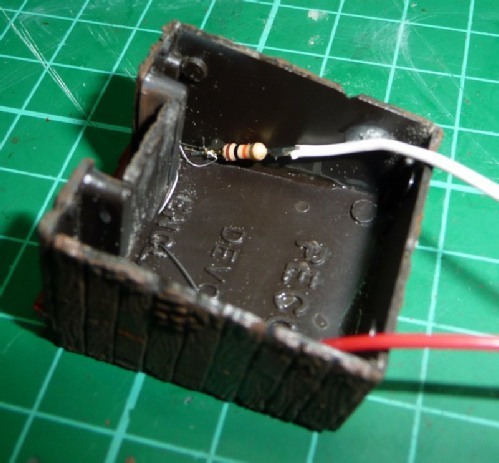 Attach the wire to inside surfaces with superglue, touch up paint to cover the wire. Fit to track and solder the resistor to one one wire and the supply to the opposite end and the other wire (test first to ensure correct polarity). 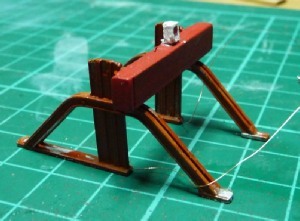 Glue the resistor and both wires to the underside, so that no strain is applied to the fine wires. 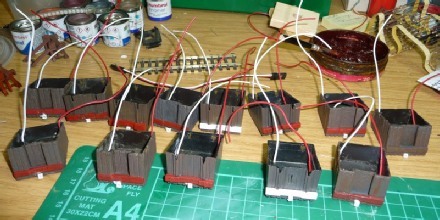 As above, except all the wiring can be soldered and glued inside, which makes it easier than working under the layout. 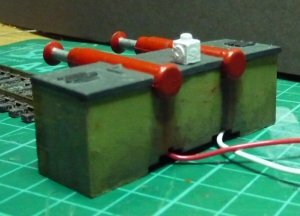 As my final layout design will need about 40 buffers and I have been collecting stock for many years, I went into overdrive and did mine as a production batch! 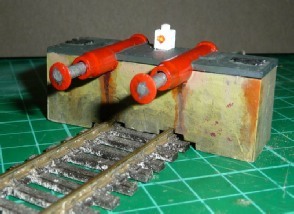 The red plastic lamp can be drilled out and the SMD LED glued in flush as shown. 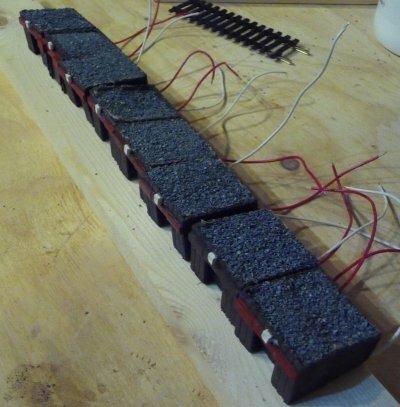 The wires and resister can be lost in the base like the sleeper version.